In this post, we suggest ways to get ahead in 2018 by reviewing vital tools for strengthening joint use operations and management. The first article in this series, “Getting Ahead in 2018: Pole Inspections (Part 1 of 3)” discusses utility pole asset organization for the coming year. Joint use inspections are necessary to streamline business and field processes. Conduit vault damage, violations, and trespass: all can be pricey and time-intensive. Up-to-date audit records strategize joint use activity in the field. In this article, we took some of America’s favorite New Year’s Resolutions and applied them as a business model for utility and communications assets in manholes and handholes. Being fit means strength, endurance, and getting rid of excess weight. Conduit vault owners may not realize the heavy burden vaults carry when trespassers invade, weakening real estate. 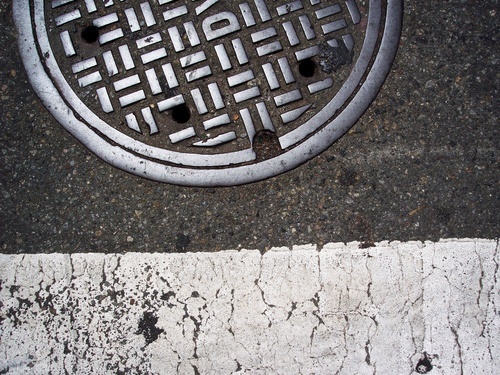 Trespassers weigh on underground real estate because of bad practices that can cause damage to the manholes or handholes. From safety hazards to liability, trespass can consequently destruct underground spaces, leaving the financial burden on owners to fix. A routine inventory of conduit vaults helps keep trespassers out, since vault owners are aware of the underground circumstances. When vault owners conduct routine audits, they can take proactive action when trespass is found. A managed services and inventory service company, such as Alden, delivers owners a court-ready closing package for legal teams when trespass is found, itemizing the funds that owners are owed for the illegal trespass. Getting in shape means being the best you can be. One way to save money and spend less throughout 2018 is to subcontract to professionally-trained inspection teams. Just as one would not let an inexperienced person into their home to fix plumbing or electricity, asset owners cannot afford to allow untrained auditors into manholes and handholes. Vault damage may include structural damage, contaminating environmental hazards, & a void of manufacturer’s warranties—to name a few. Violations accrue from several factors (damage, trespass, wear-and-tear), and many vault owners are surprised to learn that a hefty amount of violations are from their own contractors. The consequences of damage reach far beyond the underground space, directly affecting financial, operations, and management departments. Further, underground harm results in a multitude of above ground problems: lack of communication, inability to diagnose real issues, causing confusion. Puzzling systems leave employees and customers distressed. When owners hire inspectors to inventory vaults, they are taking a chance on missing damage, trespass, and violations that end up being very dangerous in the future. The costs to fix these problems add up substantially, costing owners more than it would to hire a professionally-trained inspector from the beginning. Consider vault space in the same light as any other real estate: the field inspector is the key to the success of any audit project. Other ways to save money throughout 2018 is employee satisfaction. For some, it may seem trivial to lose one customer here or another employee there, but the numbers add up and prove an ongoing cycle: An average of four-to-five customer service employees leave their job every month, and 30-45% of call center representatives leave their job annually. According to the Quality Assurance and Training Connection, it typically costs businesses about $6,000 to replace one employee at a $12 per hour rate. This means that businesses spend roughly $360,000 next year to replace unhappy call center customer representatives. Why so expensive? The Quality Assurance and Training Connection factors in gaps in staffing, human resources training spend, administrative cost for new hires, and training time. It also states that when employees in a department are understaffed and overworked, they tend to give poor customer service which, in turn, produces higher statistics of customer loss. High-speed broadband service is becoming recognized as a basic right, and it is changing how providers conduct business. With a higher service mandate than ever before, it is important for owners and attachers to work well together. Service providers and other non-profit deployment advocates are committed to closing the digital divide. Comcast’s Internet Essentials has linked Americans living in rural areas to high-speed internet service. Internet Essentials has connected around 4 million Americans, or more than 600,000 low-income families, to the internet in their homes. Similarly, Microsoft is stepping up to help deploy broadband through their Rural Airband Initiative program to help set up broadband connections for 2 million people in rural areas by 2022. Keeping up good relationships with fellow joint use partners helps promote safety, access, and overall deployment success. One of America’s highest ranked resolutions is to stop procrastinating. For vault owners, this means it is time to know what is going on in underground spaces. Routine audits keep owners informed, leaving no questions unanswered regarding the state of underground facilities. Aside from knowing where assets are, and knowing which owners and attachers are in the space, a routine inspection of each underground vault is important for maintenance and safety. This benefits all parties involved, from asset owners to occupants, contractors and inventory personnel. Above all, regular inspections keep spaces safe. Further, every State has environmental regulatory practices that must be adhered to. Regular audits ensure those regulations are met. Truly credible auditors not only identity violations, trespass, and damage, but also track and report updates in real-time. When hazardous conditions are found, asset owners need the ability to quickly access information. Inspection teams should identify internal practices of the vault undergoing inventory. Every manhole and handhole is different, so it is important to understand construction practices and how things attach in each space. The ability to track and store asset attributes with visibility requires a program dedicated specifically to managing those assets. Pairing managed auditing services with an application such as a centralized, shared asset database helps drive better business decisions. An organized inventory is most successful in a one-stop-shop data management system that collects and creates reports, and sends real-time updates to assist with planning cost-effective actions to deploy equipment.